According to our Terms of Service and Service Level Agreement, we keep your data for 10 days. Also, you may send the request via contact@help-desk-migration.com and ask to delete your data earlier. After that period or your request, your migration will get the status Archived and your data will be deleted from our system. 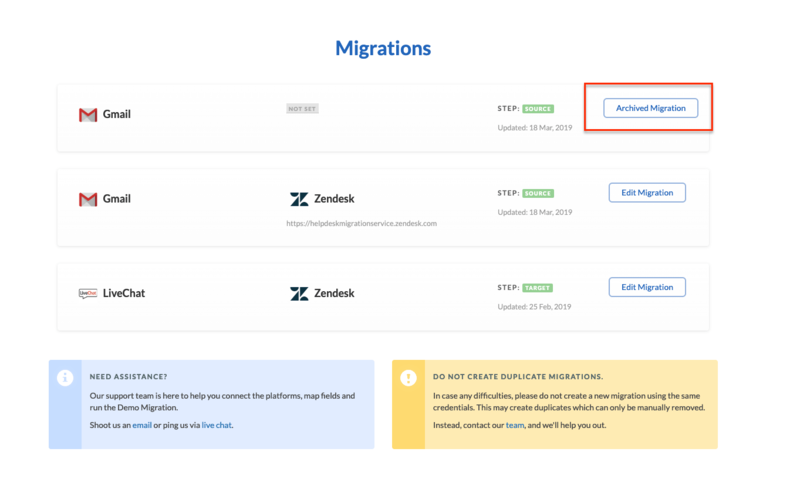 Please, note: once the migration is archived you won't be able to make any changes.